New research from VoucherCodes’s Annual Cost of Living Life report reveals that modern millennials are choosing to spend their disposable incomes on living for the ‘here and now’ rather than saving up for bigger life purchases. The study highlighted that the UK’s younger generation save just 9 per cent of their monthly disposable income for future savings, with nearly one third (29 per cent) claiming they prefer to spend money on enjoying the moment. A closer look into what millennials are spending their money on in 2017, highlights that eating out tops the list of young people’s spending priorities, with nearly half (46 per cent) of those surveyed saying they prioritise spending their disposable income on nice brunch or dinners out. This spend trend is closely followed by travel (29 per cent), highlighting the younger generation’s desire to head off on wanderlust filled adventures. It seems the desire to socialise over avocado on toast outweighs the desire to catch up with friends on a night on the town, with millennials setting aside an average of £76 per month on eating out versus just £37 on nightlife, as they choose Instagrammable meals over nightlife and clubbing. Pottering around the house was also revealed to be an unexpected pastime for young people, with 18 to 34’s shelling out an average of £56 on DIY, gardening and homeware in an average month – double the amount set aside for cigarettes at £28. Healthy lifestyles are high on the agenda for young people, with nearly one in four (24 per cent) claiming they spend their disposable income the way they do in order to lead a healthy and active lifestyle. But it’s not just health kicks that have an influence on millennial spending; nearly one fifth (18 per cent) admitted to social media having an impact on their spending habits, with 18 to 34s confessing to spending money to share their latest experiences and purchases with friends and family on Facebook and Instagram. In contrast, it seems young people are less concerned about what lies ahead, with just one in five (21%) admitting they enjoy spending on things to set them up for their futures. Instead, they choose to enjoy splashing the cash while they are young rather than fretting about the future. But ‘carpe diem spending’ can come at a cost; the report revealed one fifth of millennials (21 per cent) believe they will never be able to buy a property of their own, with just four per cent claiming they will be able to buy a home in the next five years. 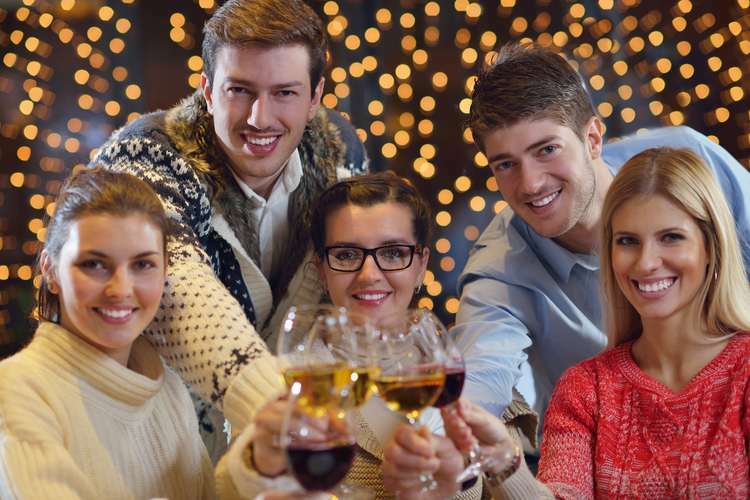 Happy to trade in on luxuries to afford their fun-filled lifestyles, nearly 9 in 10 (86 per cent) of 18 to 34 year olds have made sacrifices to make up for the holidays, brunching and festivals on their agendas. Four in ten (40 per cent) claim they live at home with their parents to cut back on rent, while more than one third (34 per cent) walk or cycle into work to avoid costly commuter fares.